Inspiration for these PrixViews is sometimes tricky to come by, especially when you are in the mist of a 5-race, 8-week run and you are trying desperately to think outside the box. On a separate note, did you know you can win the Silverstone race track this weekend? See the competition on Graham & Leigh (our Fantasy GP title sponsor) website below! 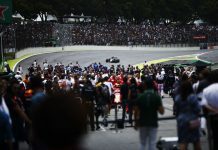 Other Tips – Lewis Hamilton took a great win at his home track last season, rebounding from a bad start and surviving late rain to take the win from Rosberg. Tensions are likely to be running high and therefore the brave amongst you may wish to avoid the obvious 1-2 Mercedes finish as, after all, there have only be two in 2016 and none in the last five! Ferrari struggled all weekend in 2015 despite nicking a podium but, along with Red Bull, will be keen to improve this time out. McLaren, Haas and Manor all made strong showings in Austria and will be keen to mix up the order again at Silverstone. Weather is likely to be in play again this weekend with, at the time of writing, rain predicted for race day itself. 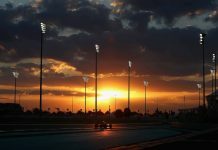 In a further twist, Pirelli have mixed-up the tyre allocations for Silverstone with the three hardest compounds being the choice for teams on this high-speed, demanding circuit. Safety cars are a frequent feature of the British GP despite some good run-off areas, with 5 of the last 10 races featuring the silver Mercedes and 5 periods in the last 3 races alone. If you want to go risky, think rain and 3 plus stops might come into play. Finally, can poor Kyvat continue his horrible 2016 and deliver the first retirement? He doesn’t appear a bad choice on paper. Enjoy Silverstone and let’s hope this brilliant 2016 season continues to deliver.